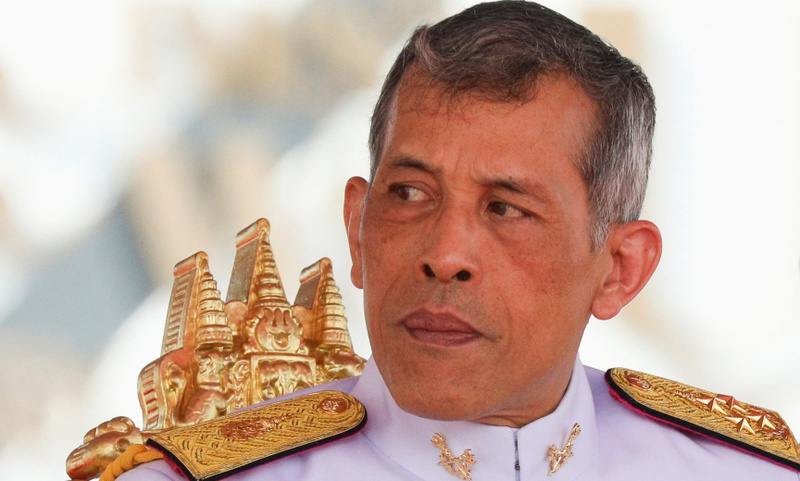 BANGKOK (AP) — The official agency that had managed the vast wealth of Thailand's royal family has announced that its assets have formally been turned over to King Maha Vajiralongkorn Bodindradebayavarangkun, who assumed the throne after the death of his father in 2016. An undated announcement seen Saturday on the website of the Crown Property Bureau says that assets it has been administering will be put in the same category as the monarch's personal assets and managed together at his discretion. Forbes magazine's 2011 rankings of the world's richest people had estimated the fortune of the late King Bhumibol Adulyadej at more than $30 billion, including the holdings of the Crown Property Bureau. King Vajiralongkorn last year had already asserted personal total control over the bureau. Some holdings in two major companies controlled by the bureau had already been transferred earlier to the new king's personal control. The new announcement noted that while the Crown Property Bureau had been exempt from taxes and duties, the personal assets of the king and the holdings previously belonging to the Crown Property Bureau — to be treated together as "Crown Property Assets" — would "be subject to the same duties and taxation as would assets belonging to any other citizen." The announcement, which was titled "Explanatory Notes," also said that the king could direct the existing Office of the Crown Property Bureau, or any other designated person or agency, to manage the assets now held in his name. Vajiralongkorn's father, King Bhumibol, who reigned for seven decades, had professional managers who were also trusted insiders administer the palace's business interests. The new king has sought to put his stamp on the monarchy, replacing palace officials with his own appointments. Chirayu Israngkun Na Ayuthaya, who had been director general of the Crown Property Bureau since 1987, was replaced in March by Air Chief Marshal Satitpong Sukvimol, a close aide to King Vajiralongkorn. The Crown Property Bureau's most notable assets are real estate in Bangkok, Thailand's capital, the Siam Commercial Bank and the Siam Cement Group, a major building materials conglomerate.